Jaguar Land Rover (JLR) is the UK’s largest employer in the field of automotive design, engineering and production. 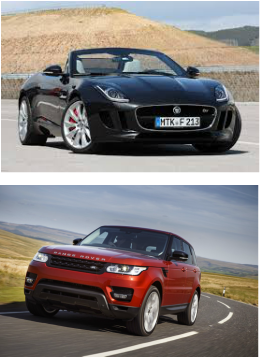 Jaguar & Land Rover are two iconic British brands with a rich past and strong customer loyalty and attraction. JLR employs more than 25.000 people and sells cars in 177 countries all over the world. During the last two years, JRL hired 9.000 new employees. In Belgium and Luxembourg, their network consists of 30 concessions and in 2013 they sold more than 6.000 cars. Jaguar Land Rover is on the move. Two brands with a great heritage prepare for a promising future. In order to continue their growth, JLR worked together with De Putter & Co to expand the sales and service teams. Kris Verleye, who has a very broad experience in fleet management, joined the team as Fleet Sales Manager with focus on National Accounts & Leasing. Gerald Van den Panhuysen, also very experienced, recently started as Zone Manager Sales. In the field of After Sales, Bert De Geyter joined the team as Revenue & Retention Manager and Frank Wouters holds the position of Service Quality Manager. Both gentlemen gained a lot of experience in the after sales of well known brands. They will both report to the After Sales Director of JLR.